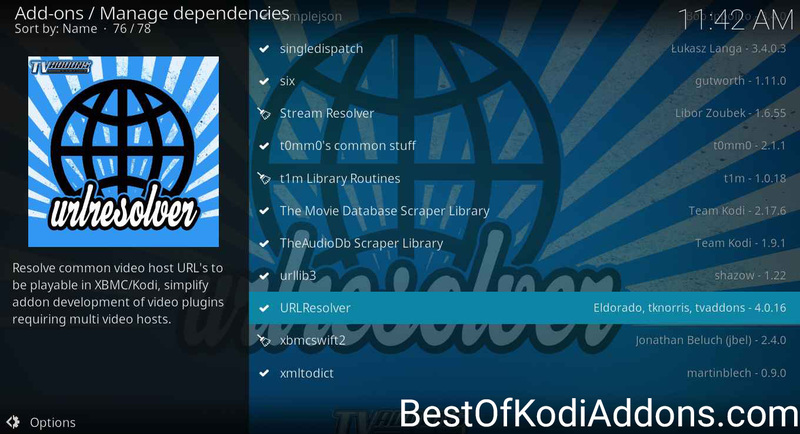 Thevideo.me/Pair, Vidup.me/Pair & Tvad.me/Pair: In this article, we will discuss how to solve stream authorization error in Kodi Media Player. Kodi Media Player is an excellent name in the field of entertainment. This media Player provides lots of movies and TV shows. There are various Best Kodi add-ons available that we can add to the player to improve the user experience. In Kodi Media Player user come across different errors authorization error is one of them. To solve that we will provide you three different method. We will also use the website such as the video.me pair, vidup.me pair, tvad.me pair. 2 What is Stream Authorization Error? 3 How to solve error such as the video.me pair, vidup.me pair, tvad.me pair authorization. 3.1 Limitation in Stream Authorization. 4 Method to solve the video.me/pair, vidup.me/pair, tvad.me/pair error. 4.2 Method 2: Disable Hosters with Captcha. 4.3 Method 3: Configure URL resolver. What is Stream Authorization Error? To solve the problem first, we should understand the problem. Many users get the error, but they don’t know Why this error comes. Let me first make clear what is Stream Authorization error. If you are a Kodi Media Player user and you get this error means you have to authorize the stream to view the media content. 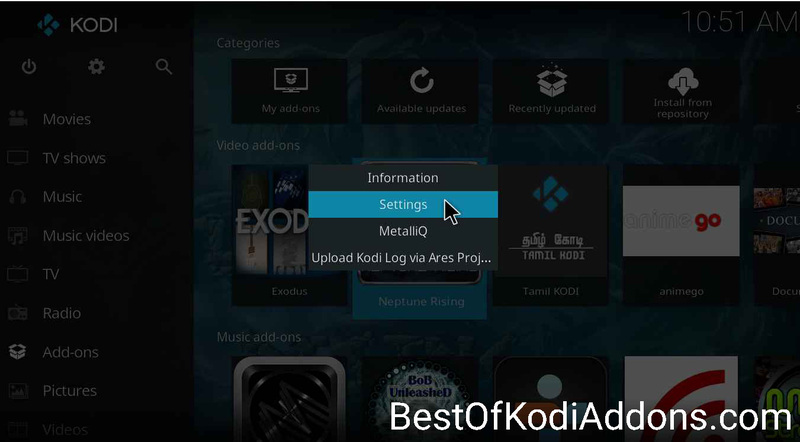 In Kodi Media Player the media contents such as Movies and TV shows are provided from the remote server. There are various contents and multiple users trying to access it. Not only just pure users but also the bots and scrappers such media content. If Multiple users access the same content, it may lead to server down. If the load on the raises then it may also make the server shutdown. So To control the traffic and make the contents available to all the user the stream authorization is available. How to solve error such as the video.me pair, vidup.me pair, tvad.me pair authorization. I hope I have made my point clear on stream authorization error. Now we will talk about how to solve this error using video.me pair, vidup.me pair, tvad.me pair. Yes, this video.me pair, vidup.me pair, tvad.me pair are not an error of stream authorization. Instead, we can use them to solve one. The main objective of the stream authorization is to ensure the media content available on the server to everyone. In order to do they use our IP address of the device. When you get the error stream authorization, you are not allowed to access the movies or the TV show you desire to watch.Using your IP address, they confirm that you are an authentic user of the media content. Once you follow the steps to fix the stream authorization error you can watch your movies and TV show. But there are some limitations. There is a time limit after the completion of the process. You can view your desired TV shows and movies for four hours only. After four hours you will get the error of stream authorization. So you have to follow the process again, and after that, you can watch your media content for four hours. This time limitation helps the service provider to ensure that the media is available to all the user. It also helps them to manage the traffic on the server. Controlling the traffic prevents for server down or increase of load on the server. Method to solve the video.me/pair, vidup.me/pair, tvad.me/pair error. To solve the error of stream authorization you have to verify your IP. You can use any of the following methods to solve the error for the video.me pair, vidup.me pair, tvad.me pair. This is the simplest and most preferable method to solve the stream authorization error. Here your IP verification is done directly for the service provider. To use the Direct Authorization method to solve the video.me pair, vidup.me pair, tvad.me pair error you have to follow these steps. The main advantage of this method is, it is independent of the device. It uses the IP only to authenticate the user. Thus we can verify the IP from any devices. We Just have to make sure that both the devices are on the same network. Step 1: Open your web browser. In the address bar of the browser enter one of the URL. Note: Remember you can use the URL that will be displayed in your error pop-up. Step 2: When you enter the URL you will be redirected to the page where you can see Activate Streaming button. Now you have to click on this button. When you click this button, it will show a message. “your IP has been activated for 4 hours”. This message confirms that you have verified your IP. Now you can watch your shows and movies for four hours, and again you have to check your IP within the time limit. Method 2: Disable Hosters with Captcha. 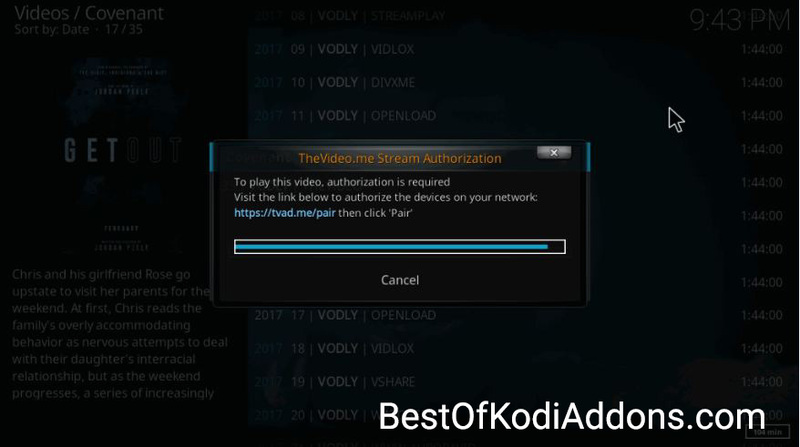 The Second method to solve the stream authorization is to disable the Hoster with captcha option in the Kodi Media Player. 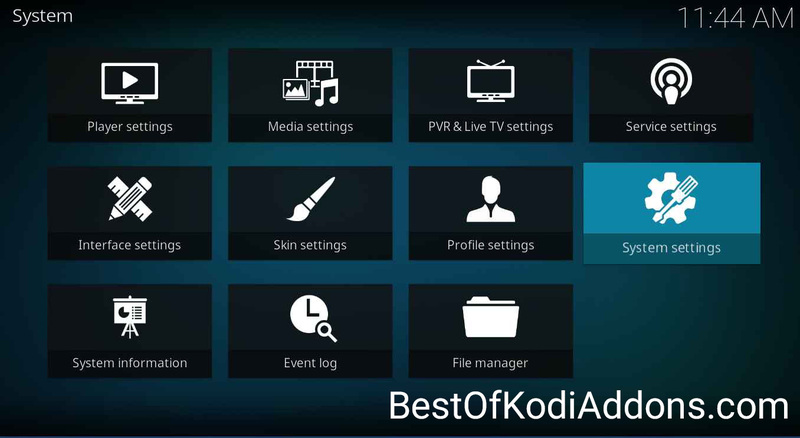 This can be done with the add-on settings of the Kodi Media Player. Users are given the access to edit the settings of the add-ons. To do so, we have to follow the below steps. Step 1: Right Click on the add-on and select the settings option. Step 2: Go to the Playback Menu. Step 3: Find the Hoster with Captcha option and disable it. Remember you have to perform these steps for all the add-ons and disable the option. Method 3: Configure URL resolver. In the second Method, we have to disable the option of Hoster with captcha for every add-on. This process is very time-consuming. To overcome the situation we have a solution. Using the third method we can disable the Hoster with captcha option for all the Kodi add-ons. 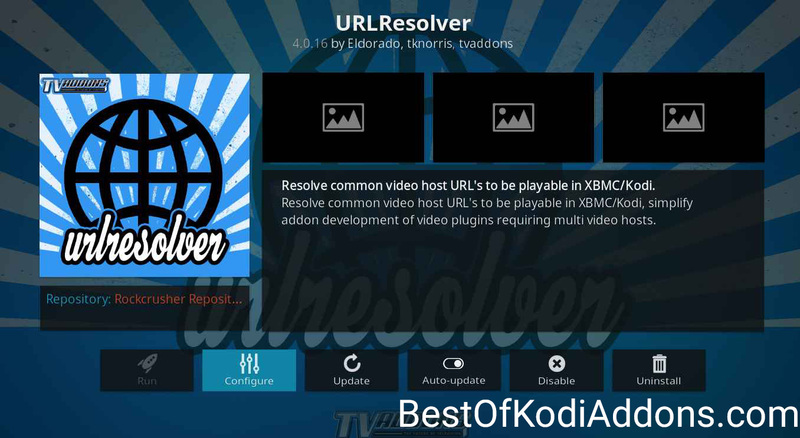 In Kodi media player, scarpers fetches your links, they are filtered and then resolved to redirect it to the original sever. Using this method we can block the service providers sites with the captcha. We have to follow the below steps. 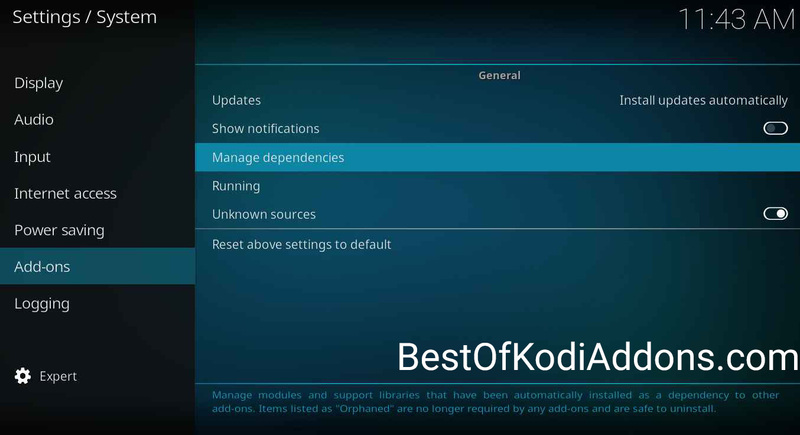 Step 2: Go to the addon menu and select Manage dependencies option. Step 3: You will see a list of options, you have to select URL Resolver from the list. Step 4: In URL resolver window select the configure option. Step 5: You will get a list of Resolver arranged in alphabetic order select any of them. Step 6: Select any hosters with captcha. I hope the methods are useful, If you have any questions then feel free to ask! Also check: hbo on kodi, Fusion On Kodi & Kodi on Amazon Fire Stick. MXQ Pro Review – Why its one of the best Android TV BOX?